Verizon Wireless employees gained accessed to billing records from a cell phone used by President-elect Barack Obama. Some Verizon Wireless employees accessed billing records from a cell phone President-elect Barack Obama had used, the Obama transition and Verizon Wireless said Thursday. 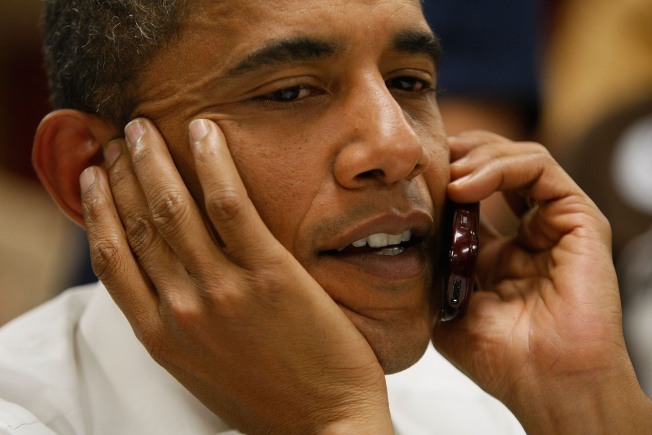 Transition spokeswoman Jen Psaki said that Obama no longer uses the cell phone in question. But Verizon Wireless CEO Lowell McAdam issued a statement apologizing to Obama. He also said that whether they were authorized or not, the employees who breached the president-elect’s account face possible disciplinary action and were immediately put on leave without pay. It’s unclear exactly what information the employees got, but a transition official said they did not listen to any of Obama’s voice mails or read any of his emails.